Many of the people I work with tell me the same thing: “I’ve got tight hamstrings.” But I really feel that tight hamstrings has become such a junk term. Everyone thinks they have them so what do they do? They stretch and they stretch and they stretch. And despite all those efforts, soon the tightness leads to hamstrings strains, particularly at the high hamstring connections in the pelvis near the glute muscles. The problem is that most people have something else going on and all that hamstring stretching is only making the situation worse. Believe it or not, the prescription for successfully dealing with tight hamstrings might not involve any hamstring stretches at all. Allow me to explain why. The muscles of your thigh — your quadriceps and hamstrings — work together to stabilize both your hips and knees. The quad muscles in the front of your thigh are the larger, more frequently-used and therefore more dominant muscle group. Your hamstrings in the back of your thigh are smaller and relatively weak compared to the quads which makes them more prone to injury. You’ve got three hamstring muscles. At the top end, they connect at the back of your pelvis near your sit bones. Then, they go their separate ways (so to speak) and connect on either side of your knee. Strong hammies provide protection for the ligaments in the knee joint and keep them from getting all stressed out. When you sit for large portions of the day or spend a lot of time in hip flexion, your quads and hip flexors get tight from being in a shortened position. That causes the muscles at the front of your hips and thighs to pull on the front of your pelvis tipping it ever-so-slightly down and forward and — because something’s gotta give — it pulls on the top of your hamstrings, creating a tug-of-war situation in your pelvis. Since your hammies are the smaller, weaker muscle group, they usually loose the battle and become overstretched. Short hamstrings are usually not the cause of that nagging tight feeling — the culprit is likely a combination of short quads and overstretched hamstrings. And even though all that hamstring stretching feels good at the time, it might only be giving you the illusion of more space. This is why chronic high hamstring strains are usually a reoccurring issue among those who complain of hamstring tightness — the more you stretch them, the looser and weaker they become. So, how do we fix it? 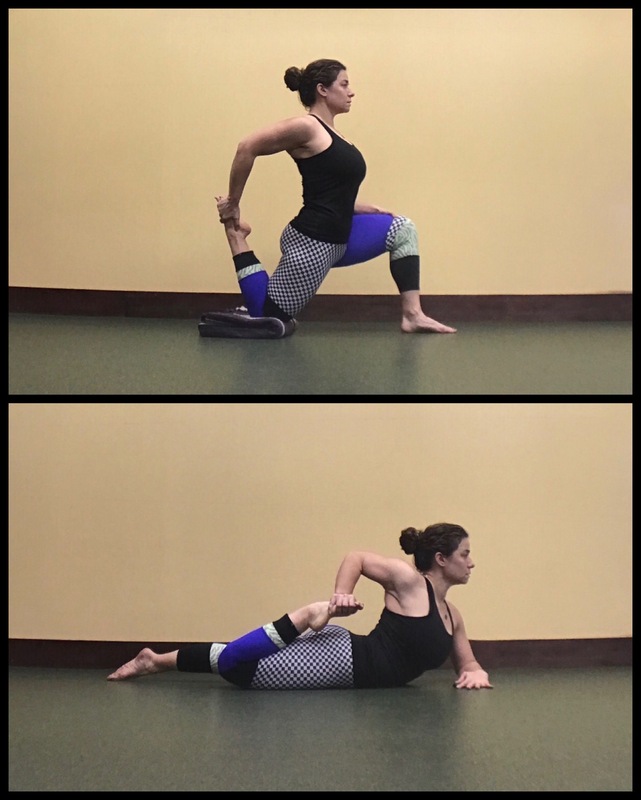 The best way to deal with tightness in your hamstrings is to add mobility work to loosen up your quads (foam rolling and stretching) and targeted hamstring strength work. Foam Roll. Grab your trusty foam roller and roll out your quads for 2-3 minutes. To get deeper into the tissue, try rolling each quad separately. 1. Kneeling Quad Stretch. Come to a half-kneeling position with your right knee on the floor under your hips and your left foot on the floor in front of you. Use your right hand to grab your right foot or ankle and pull it closer to your hips. Then, sink into the stretch. 2. Prone Quad Stretch. Lie on your belly with your right elbow under your right shoulder, forearm parallel to your chest. Bend your left knee and reach back with your left hand to grab your left foot. Press your pubic bone down toward the floor as you pull your foot closer to your left hip. Keep your left knee pointing straight behind you. 1. Good Mornings. Stand with your feet between hip- and shoulder-width distance apart. Interlace your hands behind your head and keep your elbows out wide. Brace your core and push your hips back until your torso is a little above parallel. Push your hips forward to return to standing. Once you get good at this, you can add a dumbbell at your chest, a barbell behind your neck or a long resistance band under your feet and around the back of your neck. 2. 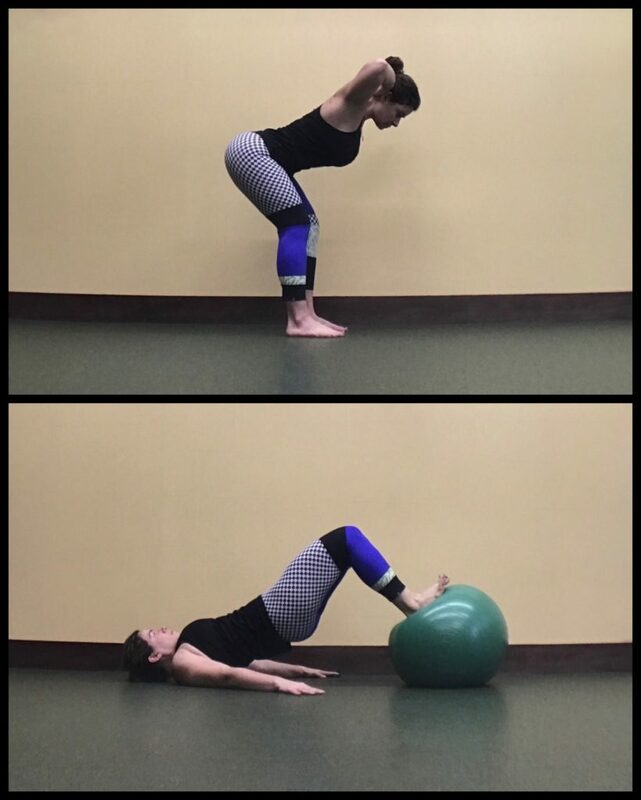 Stability Ball Leg Curls. Lie on the floor with your palms down beside your hips. Put your feet on top of the stability ball, legs extended. Bend your knees and dig your heels into the ball to roll it toward you. Extend your legs to roll the ball back out. Keep your hips lifted throughout the movement. To take it up a notch, do one leg at a time with the other leg extended up toward the ceiling. first of all, thanks for your article. 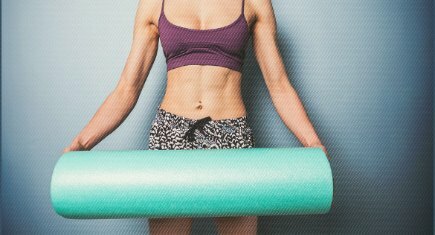 Could you maybe do a blog about using those kind of foam roll or black roll. 1) Do not force or over stretch. 3)Before starting hamstring workout, always loose up the body with some back flexibility exercises, calf stretches and hip stretch as well. Great blogs especially for women who are looking for exercises to carry out at home! Is not always easy to find good information about how to work out at home. Thank you very much! Excellent tips! My hamstrings are sore as we speak! Great post! Foam Rollers really do make all the difference in the world! Thank you for the interesting article. I learned a lot of interesting things for myself, I want to use your training. Thanks for share i like this blog it contains a lot of useful information. Hi Alsion… Great article… will definetely help my girlfriend. I also think it’s important to work with the hip flexors, as they can give a good posture. as Shehroz also said, its important never to overstretch anything while you are doing these exercises. I have also found out that pre-stretching before a run, and post-stretching can give amazing results. I’ve made a video that could help some of your danish readers. Hope it’s okay to post the link here! Great article for women. Thank you very much! Great article! Many people suffer from tight hamstrings and this will definitely help them! Thanks for sharing! Your article really helpful! I am using daily bases your tips. Thanks for sharing your article.